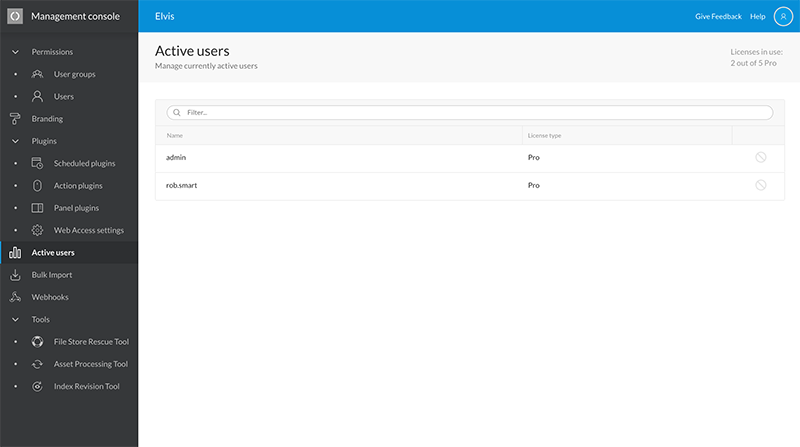 To use Elvis 6, users need to log in to Elvis Server. The connection that is created during this process takes up a license. Typically, a user will log out when they are done working with Elvis. This also releases the license that they were using. In scenarios where licenses need to be released because users have forgotten to log out or are not able to log out because of technical problems, system administrators can manually disconnect users from Elvis Server. 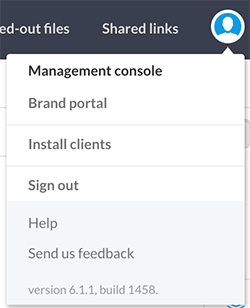 This is done by using the Active Users page in the Management Console. Step 2. From the menu on the left of the page, choose Active users. Step 3. Click the disconnect icon for the user that needs to be disconnected.